Disclaimer: No offence is intended by the humour used in this clip. Baker (2011) suggests there are cognitive advantages to being bilingual. The research on the brain and bilingualism show balanced bilinguals have an advantage when it comes to divergent thinking. 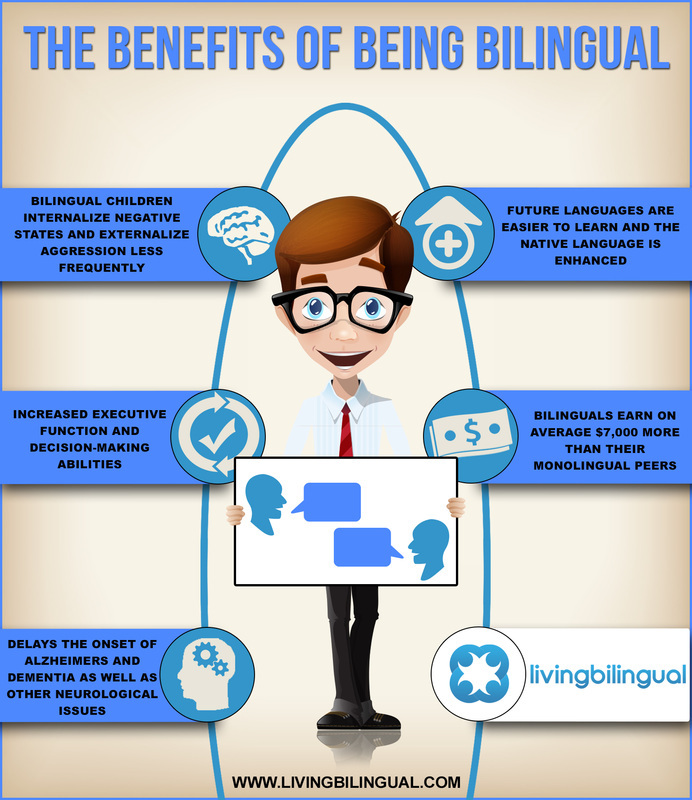 Research also indicates bilinguals may have increased focus, better decision making skills, a delayed onset of dementia (approximately four years) and a strengthened working memory. Bilinguals early metalinguistic awareness fosters or enhances literacy development and language attributes are readily transferred between languages (Baker, 2011). IQ measures seem to increase more over the years for immersion students than for children in traditional English programs (Barik & Swain, 1978; cited in Hamers & Blanc, 2000). Follow the link below to view some additional videos on the benefits of being bilingual provided by the University of Calgary.